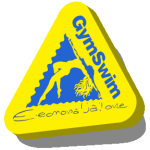 GymSwim is the first water discipline for keeping fit. It was born in 1984, after the actress and sportswoman Eleonora Vallone’s long rehabilitative period. She realized that this water activity was giving her some benefits, both physical and psychological, thanks to a great variety of movements stimulating her muscles. She decided to teach it, supported by the competence of many doctors’. Therefore she created and tested more than 2,000 exercises, thus giving birth to GymSwim. In doing so, she could have the approval by the distinguished C.O.N.I. doctor A. Dal Monte, the F.I.N.B. President Consolo, the European M.S.P. President G.F. Lupattelli, the C.M.A.S. President Achille Ferrero, the C.I.O. President Don J.A. Samaranch, and the world free-diving champion Stefano Makula, as well as of many doctors and qualified people in the field. 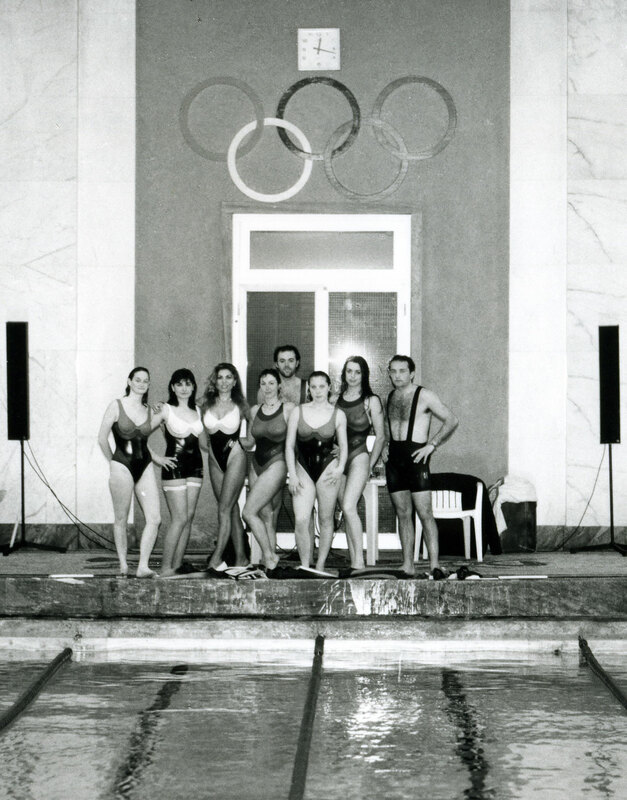 The first AcquaGym School was now born, a place where all can keep fit and instructors can be trained. This Acquagym discipline consists of 3,000 exercises, aiming at satisfying any specific need. This Method has to be applied in water, and it was inspired by other disciplines: autogenic training, athletics, jogging, boxing, gymnastics, ballet, swimming (not in a traditional sense), stretching, yoga, aerobics, swimming with flippers, golf, free climbing, football, skiing, diving, bioenergetics, and so on. All the exercises, each called after a sport champion, an animal, or a famous person, are practised with a particular background music. The discipline is well suitable to all ages, it is funny and not dangerous. With floating, both sport and non-sport people do not tire themselves, even though they burn a lot of calories because of the water resistance (in proportion to the intensity of the movements) and to the sequence of the exercises. Moreover, only the muscles are involved. Working like that, people can improve the acceptance of their own body. In a short time, the natural hydro-massage helps them reduce their body fat. The Method is a good way for fighting and preventing arthrosis, osteoporosis, and for stimulating both diuresis and blood circulation. In addition, proper exercises may give new youth and help sexual activity. An accurate choice of the exercises make people aware of their body and creates harmonic postures. GymTANTRA is suitable for exercises in pairs. Doctors recommend it because of its enormous psycho-physical effectiveness. Each exercise is used for solving a specific “problem” (if there is one). The real secret f this method is the number of different water exercises, all performed with the patented piece of equipment: the TRIANGLE. It allows correct body positioning in the water and better floating. You can compare it to a tennis racket or a soccer ball. It can be used in pools, at the seaside, in a spa pool, in your bath, and so on.